There are really great news for those of you, who are working on MDS personalization and customization support in Oracle Fusion Middleware applications. 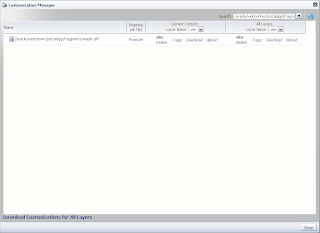 What we were really missing before Oracle Fusion Middleware 11g PS3, was some kind of MDS explorer to browse through customized data (addressed in my previous post). 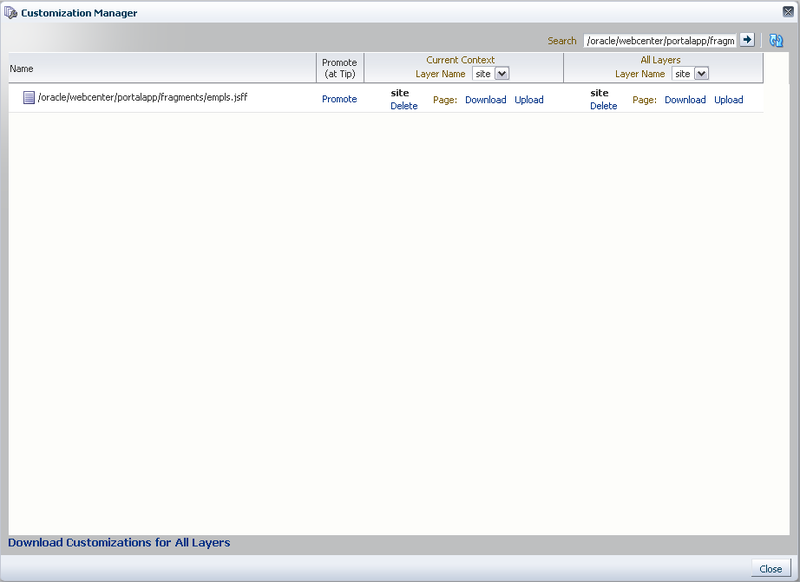 Now with PS3, such tool is available - Customization Manager. Granularity level goes to the pages, fragments and task flows - we can see customized objects, download/upload/delete/promote metadata. It would be nice to see what changes are applied inside each file, compare with previous versions, merge and patch. We expect to see this in future releases. This post is just a quick preview, I will share detail technical samples in my future posts - stay tuned ! Thanks again for yor help!! Do you if it´s also possible to disable / hidde the Reset Page link?